Discovering that you can make money with a website can be overwhelming, especially if your primary way of obtaining money has been offline or via telesales. However, what if I told you there was a detailed way to transition your business from an offline business to an online business. In this post today I am going to go over how I took my insurance agency 100% online and how I converted the old business model to fit the new system with very few hiccups. After ten years of selling insurance over the phone, I started getting leads that were asking to do everything over the internet. They didn’t want to talk to me and most of all they just wanted to get a quote and apply online at their own pace. I realized this trend and decided to take my offline telesales business to 100% online. When it comes to taking your business online, you first need to determine if your current business name can function as an online business. The name of our previous business was Zion Financial, and we didn’t put much thought into it; we liked the word Zion, and we were in the Financial space, so we came up with the name. We were able to obtain the .com version of the domain, so we had an online presence. However, the website was just as useless as a business card at a networking event. Sometimes customers thought we were affiliated with a religion and the other time’s people thought we were part of Zion Bank. Since were purchasing leads through a third party, most of the customers just went with it, so it wasn’t a big deal. Zion Financial didn’t tell the story about what we wanted to offer. We need a new name for our online business. It is essential not to get too tied to a name, and while this might not be the case for everyone, be sure to re-evaluate if your current name will work well for an online business. We came up with the name Simply Insurance, it matched our idea of the business (a place you can buy insurance easily online), and it told what we actually would sale (Insurance). We had to purchase simplyinsurance.co at the time because the .com version of the site was $10,000 and that wasn’t an acceptable risk until the site made money. Never invest too much in your idea off the bat, get it making money first. Business Tagline Insuring Your Tomorrow, Today! The Simplest & Fastest Way To Buy Insurance Online. Business Idea Sale Insurance Myself or though Agents. Sale Insurance 100% Online WIthout Agents. The next step was going to be super important, and that was going to be an education. In the insurance industry, there is a ton of education required, from continuing education to product education. The education I would need to learn for the business work online would have nothing to do with what I had known over the last ten years of selling insurance over the phone. I was hit with new words like SEO, Organic Traffic, Link Building, PPC, SEM, Google Analytics, Content Marketing, Ahrefs, Anchor Text, Title tags, etcetera. While this was all foreign to me, I had to learn it because this is what was needed to make the business function in an online capacity. I spent money on several courses and took them all. I took them about four times each and still reference them today. Before you can take any business online, you have to understand how to get people to it then how to generate revenue from the visitors. If you aren’t willing to educate yourself when it comes to switching to any new business then don’t waste your time, just stay where you are. Education Needed Insurance Products, Continuing Education, Licensing Content Marketing, SEO, Writing Skills, Link Building, etc. Now that we had the new name and vision as well as the education on how to make this all work, the next step was taking our current system or business model and converting it to work online. As you see from above, I kept the flow the same, I needed to get a solid insurance product, generate leads, have a process in place that would get the customer to purchase and then make sure they received excellent customer service. 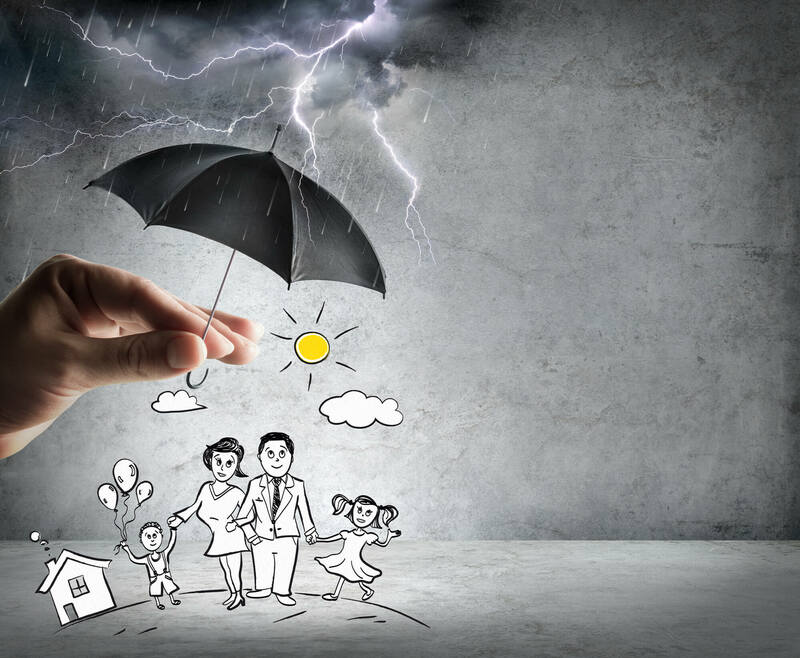 While the final result of having an educated customer purchase insurance stayed the same, the process was entirely different. With Zion Financial, the responsibility of the sale and the customer service was almost entirely on one of my agents or me. With Simply Insurance, the responsibility of the sale is up to the customer. This would mean that I needed to give them enough value (education) in my content that they felt compelled to purchase from my website. This is why education is the most important thing when starting a new business. Once the new business model was in place, it was time to transition from the old business completely while putting in more time on the new one. With my old business (Zion Financial), I would have to spend hours on the phone with insurance companies, customers, doctor’s offices, medical exam companies, underwriters, compliance departments…You name it! However, Simply Insurance was the exact opposite; I actually spent hours throughout the day writing. I was creating content that I knew my customers needed to read, like how to choose between a traditional term life insurance policy or a life insurance policy that doesn’t require a physical exam. Once I had written that content, I reached out to others and shared it to generate links. Over a year and a half, I created 80 pieces of content and generated thousands of backlinks. I was a great student. Eventually, I was no longer taking any phone calls from Zion Financial and was able to focus on Simply Insurance Full Time. The most significant change is that I am no longer spending huge marketing dollars on purchasing leads. I can spend them on things that can continue to grow my traffic. The second most substantial change is time; the change in business model completely changed how much time I have to spend working daily. While the transition to going all online was 100% worth it and the best decision I have ever made, it wasn’t easy. Figuring out how to take a business offline and make it work online will always be a hard thing to do mainly because you have to know precisely how your current business works and then you have to figure out how it should work online. Going from being a Barber to starting an online business is going to be different from being a computer repair shop and starting an online store. If you educate yourself and stick to it, change your business model and follow your gut. Eventually, you should be able to transition your offline business to an online business.